Children ages 3 and younger are not allowed to ride. 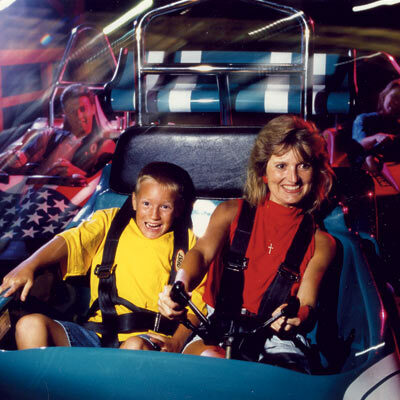 Put the pedal to the metal at Wisconsin Dells’ fastest go cart track! The challenging courses take you over hills, under bridges, around hairpin turns and past rushing waterfalls. Younger riders will love the slower-paced Kiddie Go Kart track. Centrally located, it is a fun and convenient attraction to add to your Great Dells Adventure! Jr. Track – Must be 36″ tall and 4 years old. Adult Track – Must be 61″ to ride alone.